The Alfaparf Style Stories Original Hairspray allows the hair to move freely with a soft hold and makes it glossy, without weighing it down. This is perfect for styles to be held in place but without the stiffness. 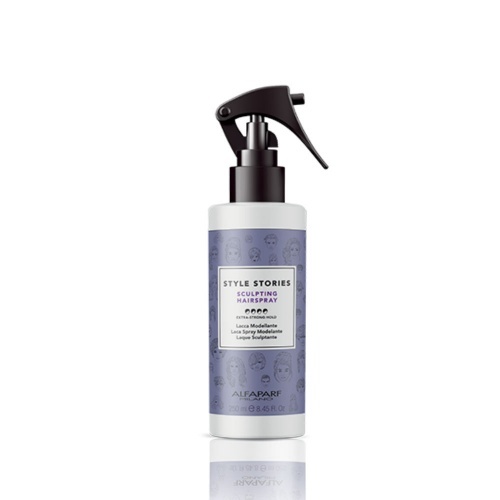 Great for curly blow dries, or to tame stray hairs. Suitable for all hair types.